I have one. Got it last year for a similar price. It’s about £20/30 worth of bbq for £50. Not worth it. Cheap and nasty. Should never have cost more than this, knock another £20 off and it's a hot deal. Cold from me. 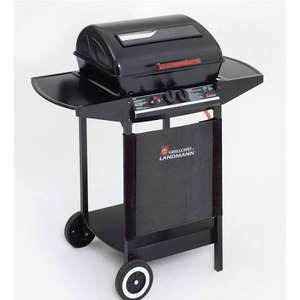 I don’t have much experience with gas bbq’s, but my impression of this one was it’s cheap and not very well engineered. I’m sure there are better experiences if you spend the money. Yeah can't go wrong with this one I had a £40 one from tesco was pure rust in a year, this one will last atleast another 2 years I think. Had mine 2 years always cover it up after use, paint has started to spot rust on the lid but nothing major. The temperature gauge is also a bit finicky, works when it feels like it. I think it's really good for the money though, was a bit of a pain to assemble, make sure you do it on something flat and level. From what I can tell, they are the same thing... so go with whatever is more convenient should you need to return it. At the time when I posted the deal was quite a lot of stock around all the stores. Would love to get one, but none available in the London area..
1 in Scunthorpe and 2 in Dundee - according to website. Was it hemel Hempstead by any chance? Thank you!! Picked one up this morning after they found them in the warehouse for me. The box had been opened so I just need to check that it contains all of the pieces. I used Charles proxy to edit a request for a different product, changed the product and location numbers. Winchester shows up with 2 but apparently both are faulty (annoyed) Andover has 4 but 18miles away is not worth the drive unfortunately for me. Just collected mine from Exeter. Heat thanks! How the hell do they manage to make a profit of these? That is seriously cheap! I run a dual probe (oooo we) digital thermometer. One for ambient temp, one in the meat and I keep a separate thermometer to probe the meat in multiple places. There is no good way to talk about probes or probing is there! This is perfect to slow smoke a turkey on all day. Just need some proper self adhesive stove rope to get a better seal. Replace the crap thermometer though. Agreed, the 57 Weber kettle is a great smoker. I can do 5 racks of ribs easy in it and it holds its temperature without leaks for the entire session. 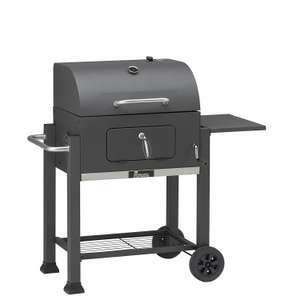 Tbh I started out with one of these for smoking but eventually moved onto a bullet smoker from proQ far superior and now this just sits with a cover over it , they are ok but your better off using a bullet smoker or even trying some smoking with a 57cm Weber first or any barbecue with a lid before spending the dosh on this. Get a smoke box, filled with your favourite wood chips and you are good to go. Bought this from Aldi in 2012 for 50 bags. Still gong strong though not exactly hammered every summer ... and just like grilling food. Anyone know how to add that authentic bbq taste to cooked food? Not really. I found it too small but more importantly, food stuck to the grill the heat wasn't well distributed. These answers are great. ‘Sorry I cannot answer that’ ‘Sorry I was at sea’ ! Beware that the grill is not stainless. Never managed to find a replacement at a sensible price. Looks nice and good reviews. I was wondering how stable is it? Base looks to be smaller foot print than some other types of BBQ. Fantastic love mine. Last you years being stainless if you look after it. Not the biggest but ideal for small family bbq's. I think that will be a difficult search. Snap. I bought one for the hottub last summer and it fell apart in the worse weather. Looks nice, but I think this will be good for use 2/3 times before it starts to fall apart. I am looking for one for all year around use that is easy to put up. Recommendations? Same. ^^ excellent durability and only praise. I have this. Not the sturdiest build but after 3 years still going strong (got mine from Homebase). Cast iron grills make all the difference when cooking and the height adjustable coal tray is actually very useful, not just a gimmick. Hope this helps! 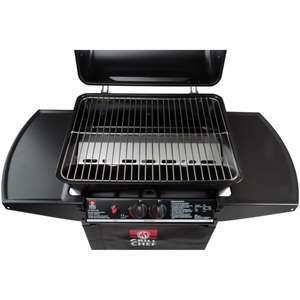 Cheap Gas BBQ - plenty in stock near me. Seems to be 70 - 80 Elsewhere. Not sure of quality but will do for this year at least! Thanks for your comments. How's the food taste compared with coal BBQs? I built mine today - first impressions was its very flimsy but looks good and great tasting food! Be aware, I had a 13kg Gas bottle which doesn't fit in the unit, its too big so had to leave it standing at the side. It comes with a gas regulator - it fitted the bottle fine. I've used a combination of lava rocks and penroc coals. 2 boxes of each, the penroc coals are a lot flatter then Lava rocks so fit between the grill rack and the flame disperse thingy. Checked on landmann website and it appears this does NOT take lava rocks. They sell a lava rock tray for their lava rock compatible versions, which says “not for use on 12375FT” ...not sure of the difference, mind. Does it take lava rocks, please? Have had this for a couple of years very good, cooks the stuff perfectly! Yes, this is the one I ordered last year for £39.82 https://www.amazon.co.uk/gp/product/B019OUULNC/ref=oh_aui_detailpage_o00_s00?ie=UTF8&amp;psc=1 3Camels never, and I mean never, shows the lowest price an item has been. Amazon do regular and random price drops that last a matter of minutes which change too quickly for their scanning to pick up. I would take the negative Tepro reviews with a pinch of salt. Only 1 of them is a legitimately bad review of the product, the others are about delivery issues. It's not as good as the version I bought last year as they have reduced the quality a little to bring it more in line with this Landmann. It's still better, and it's got the added features which you will miss on this one. The one I bought was this https://www.amazon.co.uk/gp/product/B006CE0W6K/ref=od_aui_detailpages00?ie=UTF8&amp;psc=1 and it was £58, price again not reflected by 3camels. The one I linked to earlier is the new version of that. I have personally used this Landmann and both Tepro's. The Landmann is worse in every way. Quality wise it's pretty close with the newer Tepro, but that's still slightly sturdier, and is far better featured. Hmmm not sure about the tepro the reviews arent great, however all the reviews for landmann have really praised its build quality. Amazon pricing hasnt ever dropped below £104. Sure you got the same one? I got one of these 2 years ago. Was in a sale for £40. It lasted a year outside covered when not in use but still went rusty and we got rid of it. Mine has been outside for about a year now without a cover and is still fine. What I'm aware off haha. This was £50 in Tescos last year, went down to £40 i think at one point, takes about 30 mins to put together also. Currently £20 on Wickes website, use code EXTRA15 for a further £3 off. Amazon selling same for £28 2% cashback with Quidco. Not a wild goose chase! Plenty of stock in the UK. We've got a similar one to this, does a decent job for 2-4 people. Any more you'll need a bigger BBQ! 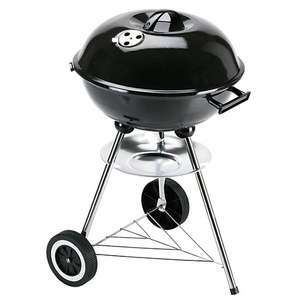 Buy a Weber at the right time of year and take care of it and you’ve got a top quality kettle grill for life. True but the reviews on the size (I'm 6ft 2) is what stopped my purchase. Much better description (y) . I know to expect that type of thing on eBay, not here tho. The two items are fully stated in the title with their associated price. Both item links given in the deal. Quite obvious the picture was of the gas one, which has the greater saving. Price of deals stated is from £20. Some of you must get right annoyed on eBay item listings where the picture and price don't match; due to multiple items in the same listing. That was a common occurrence when I last looked. Perhaps hukd can make a price range option for the price box in a future website update? Caveat Emptor comes to mind. I’ve reported and now they have adjusted the picture to suit the correct price. I think op new exactly what they was doing. Very misleading. Then put it on as 2 links? No reason to click bait, eh? Heat!! This has been reduced further! !